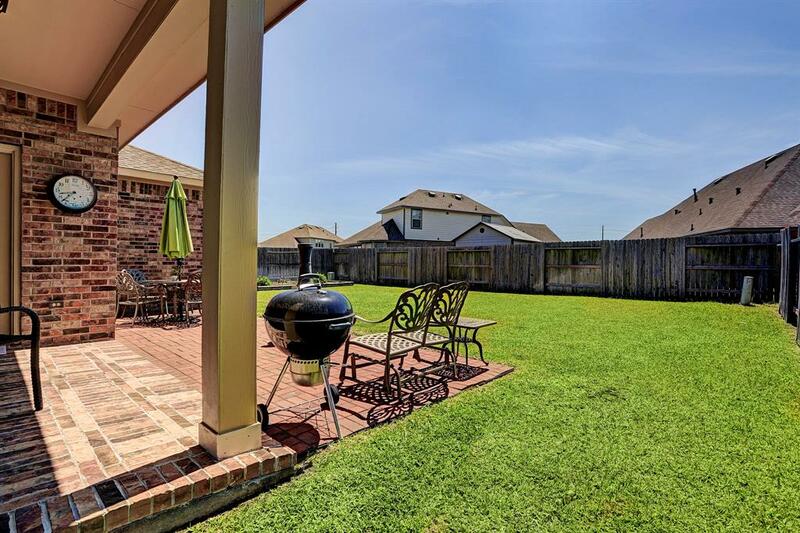 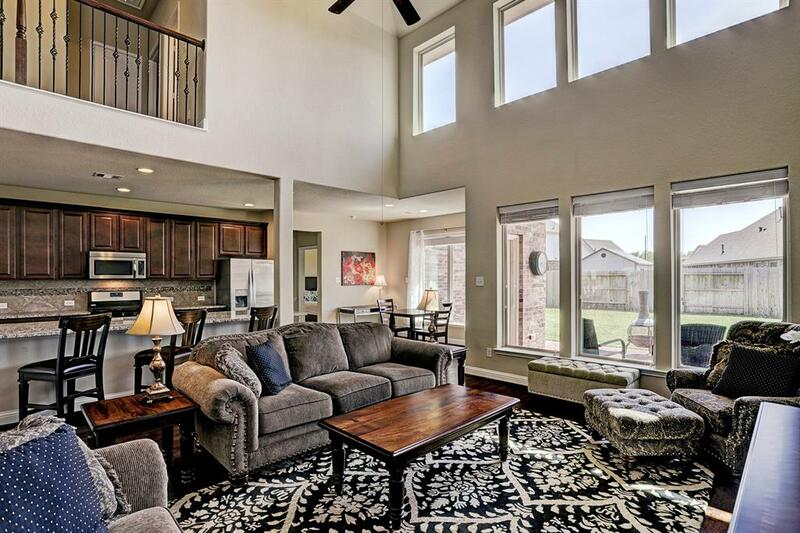 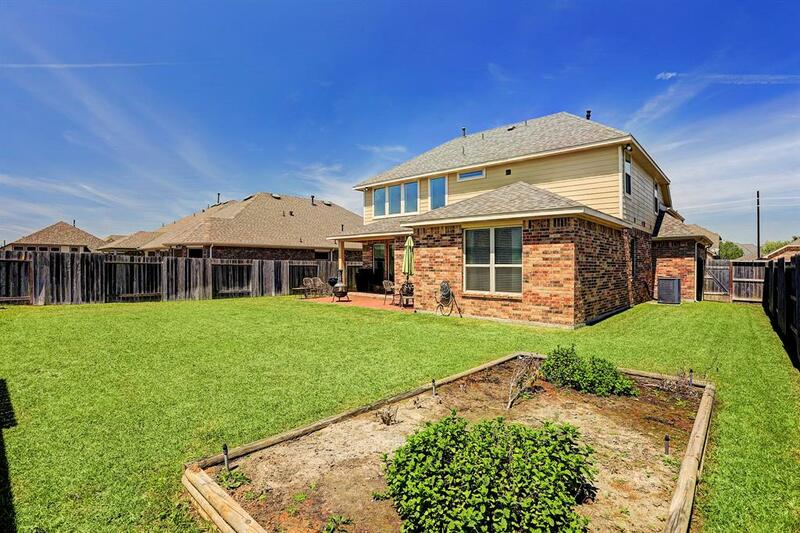 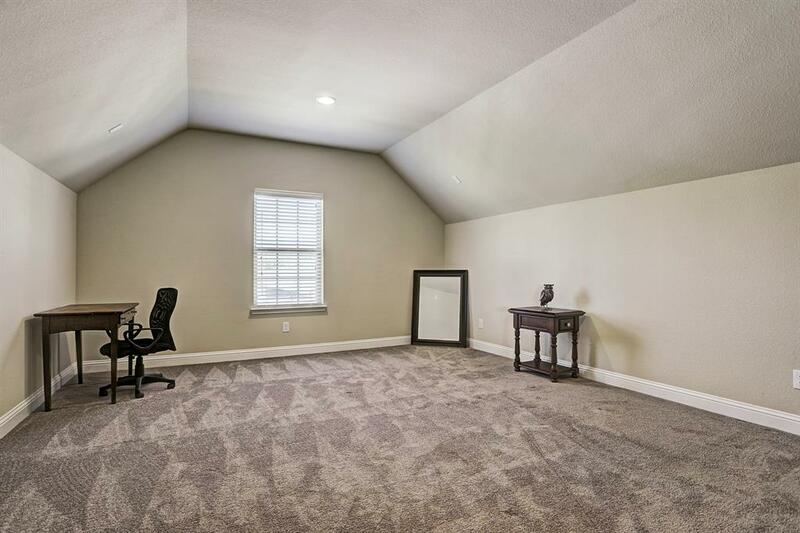 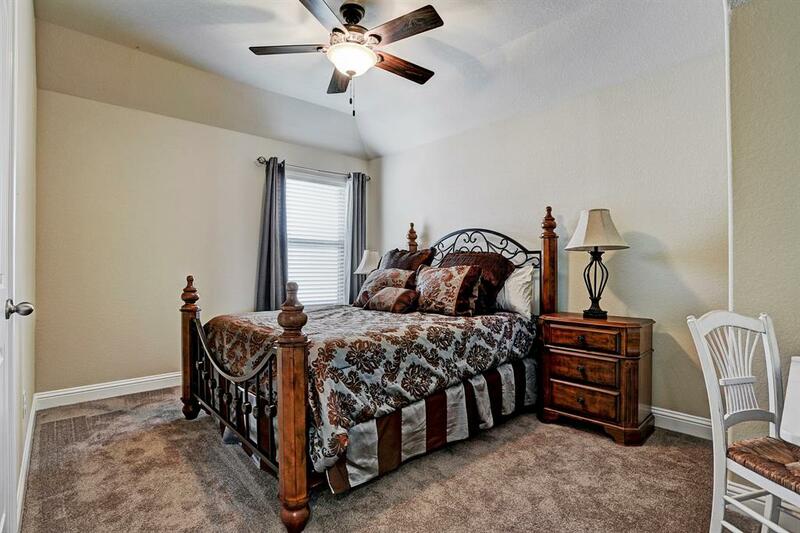 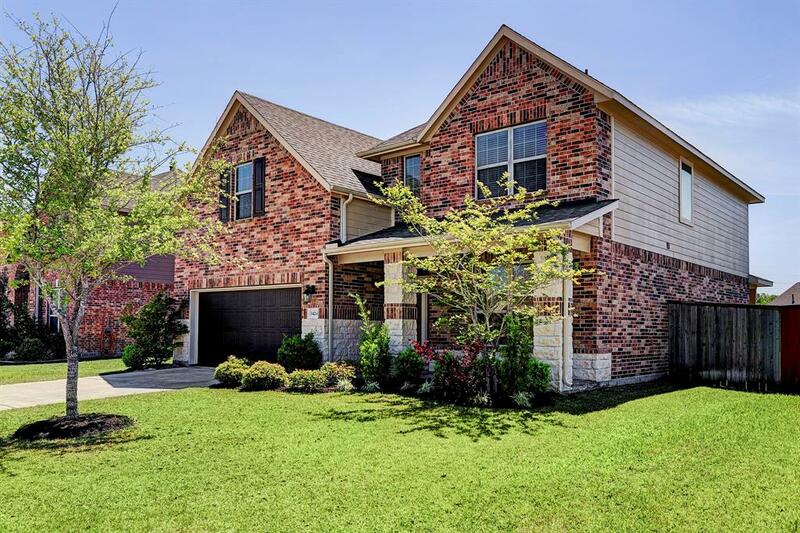 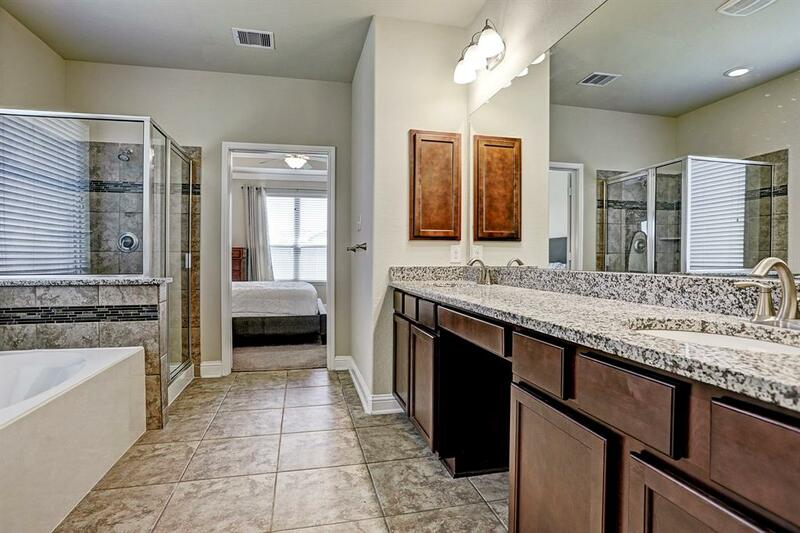 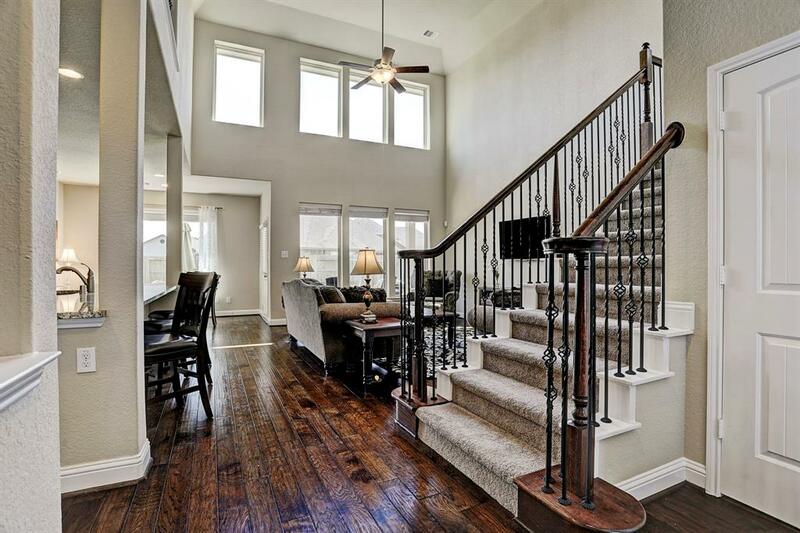 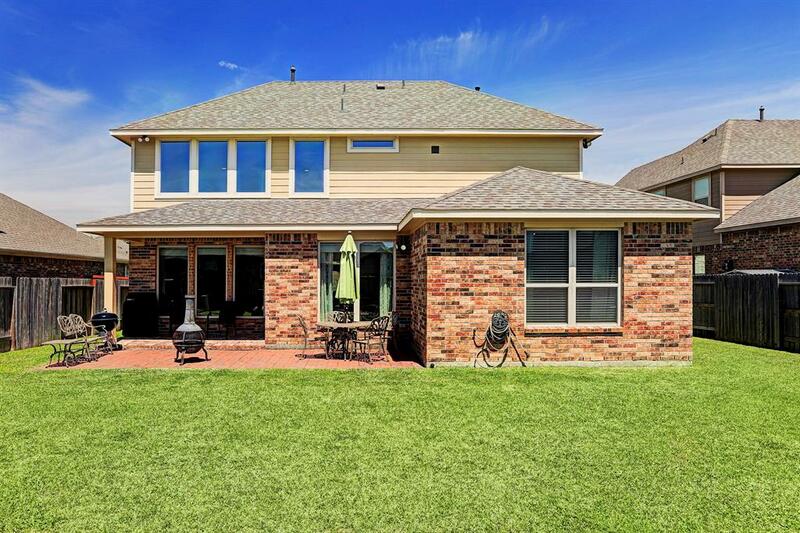 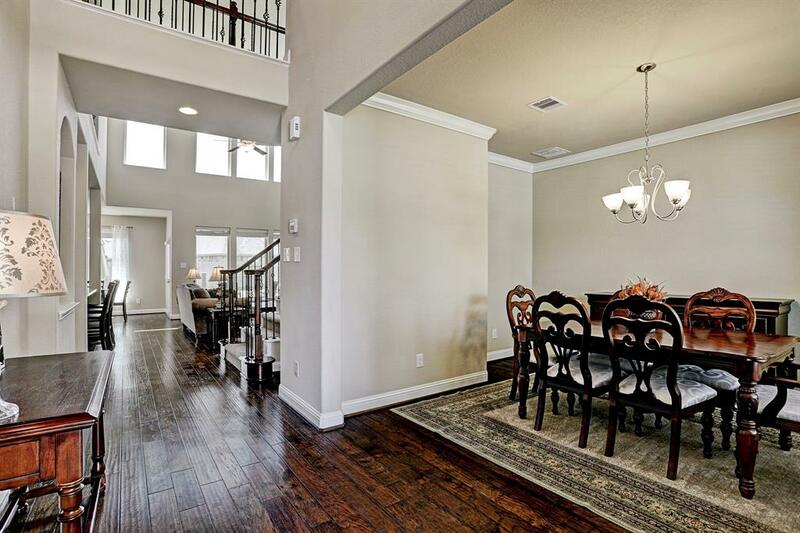 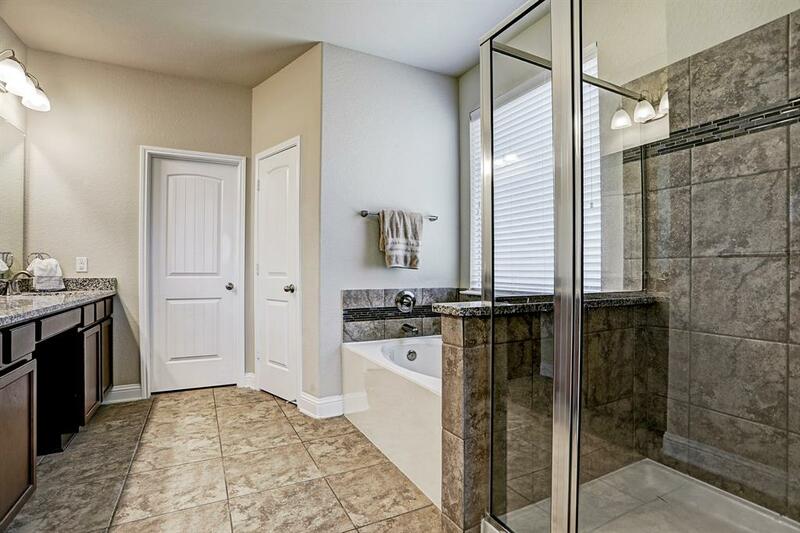 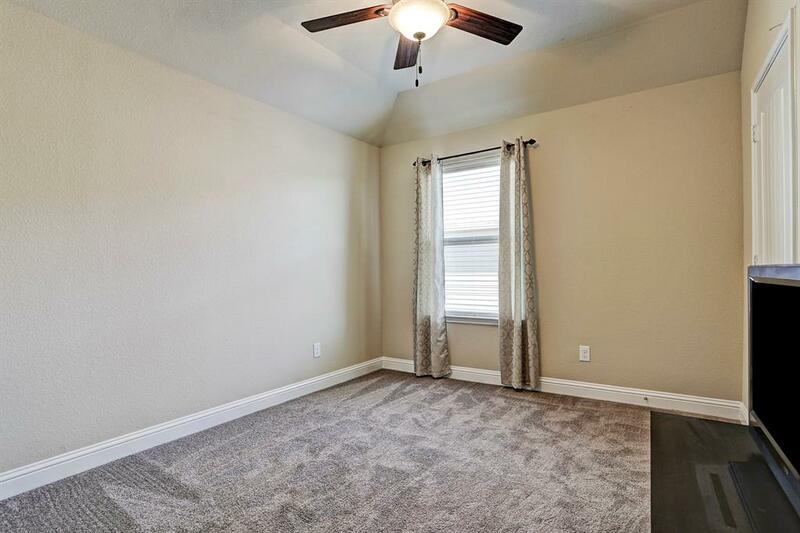 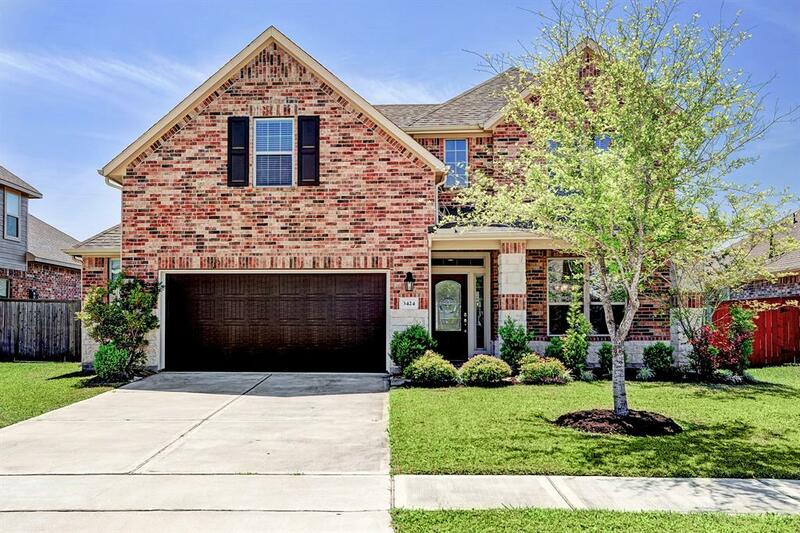 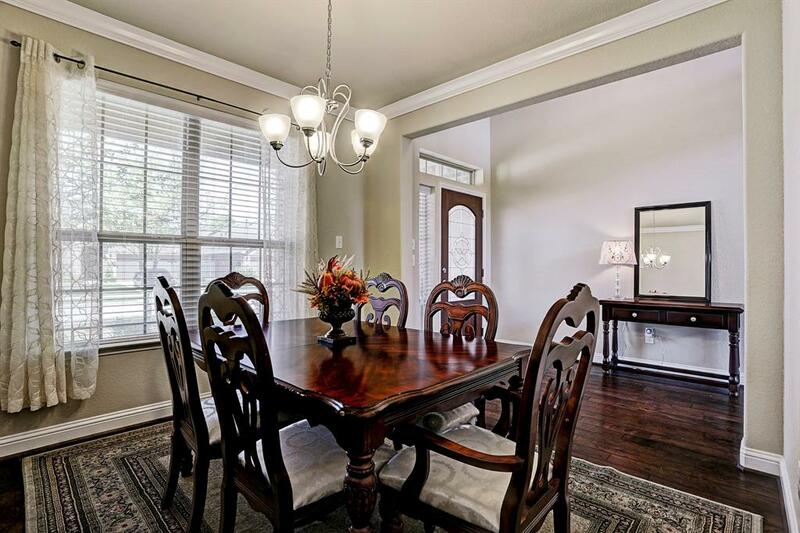 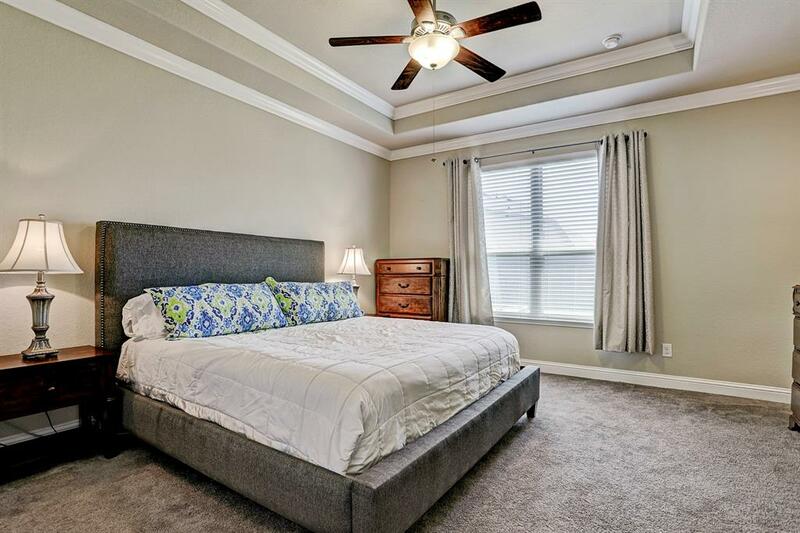 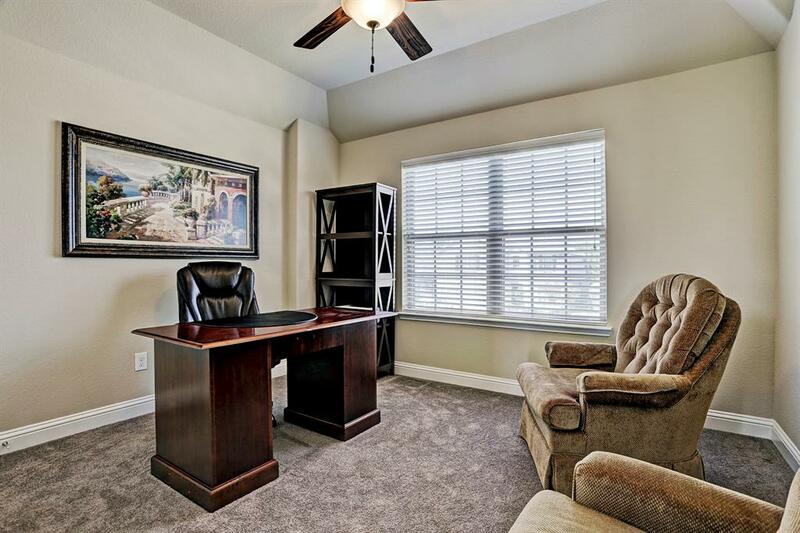 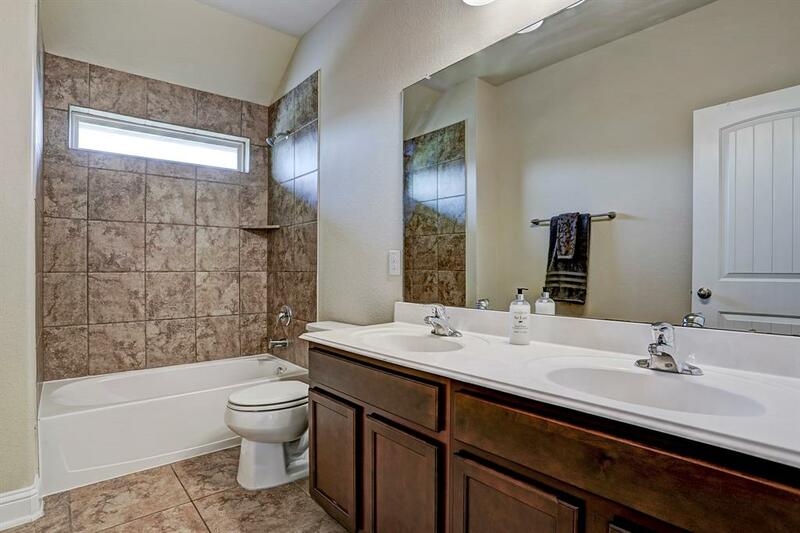 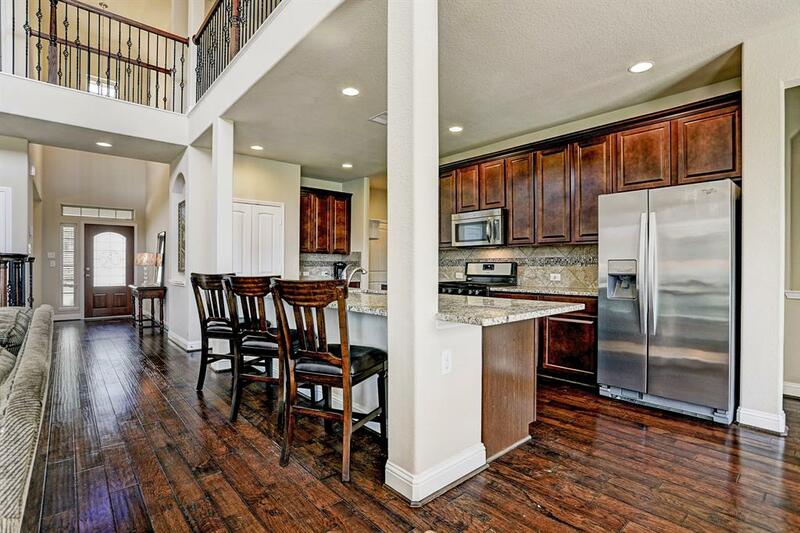 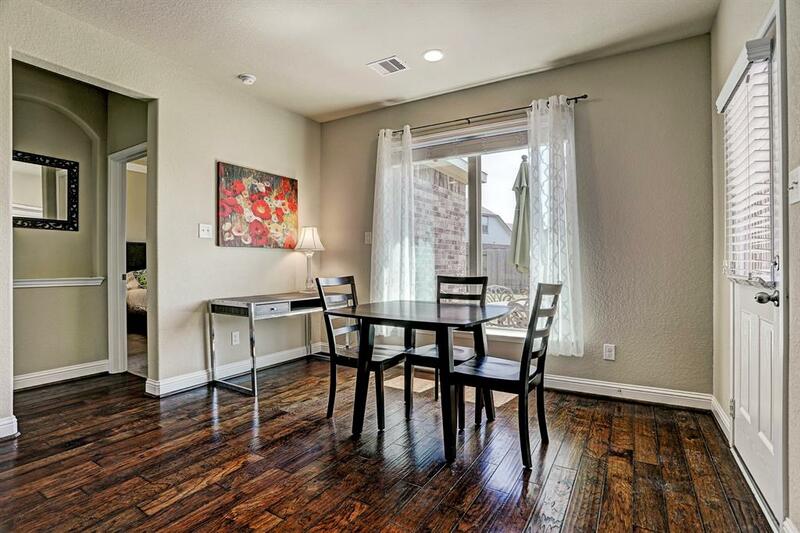 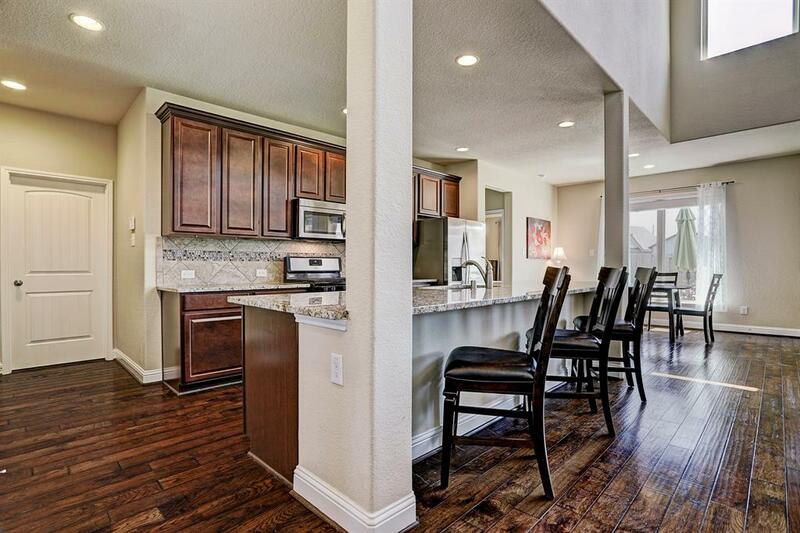 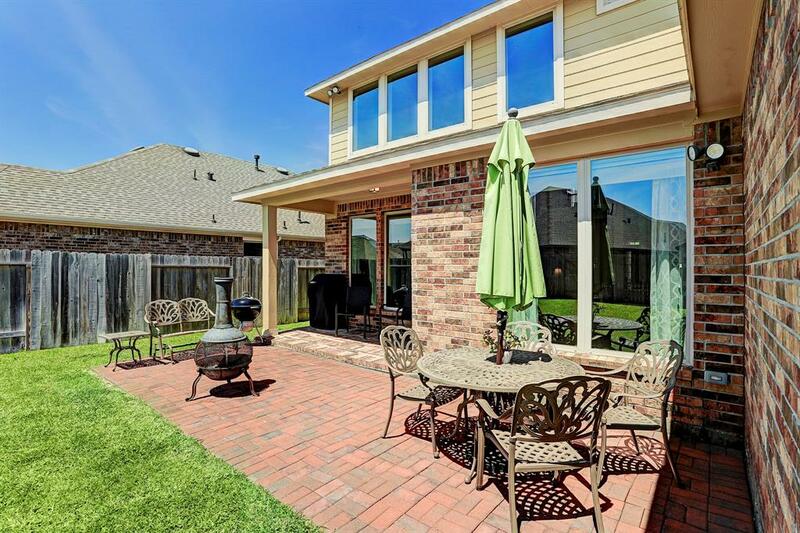 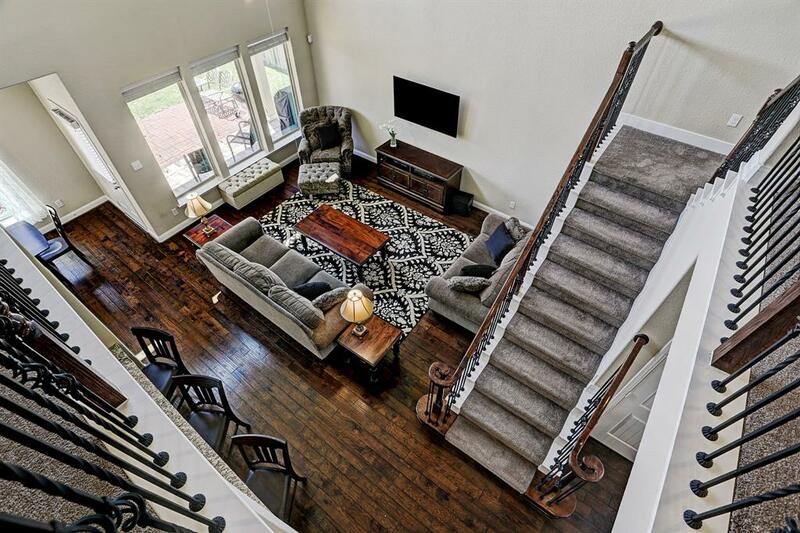 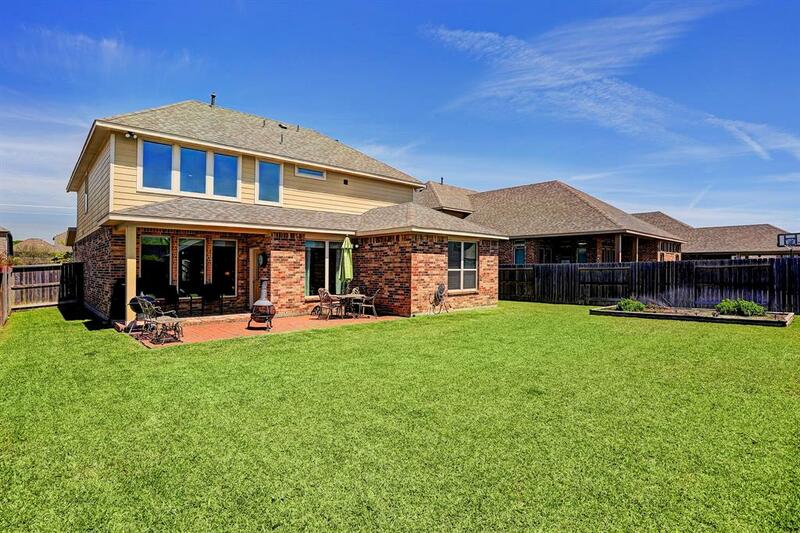 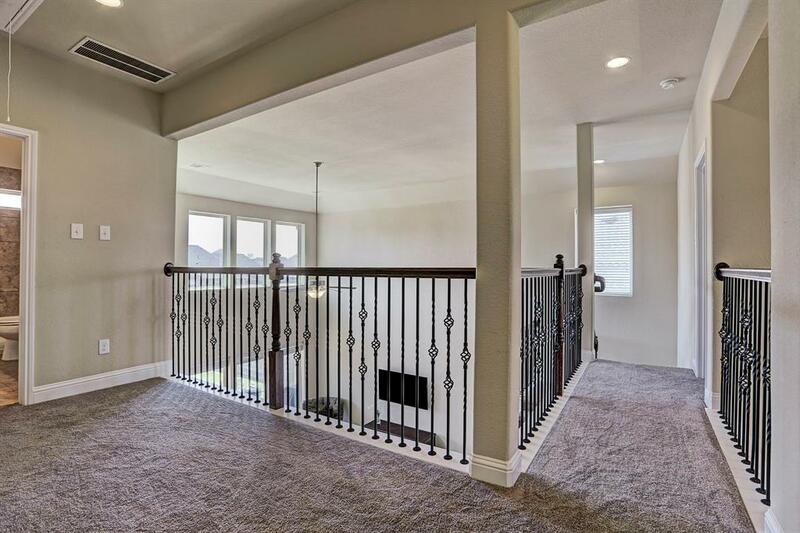 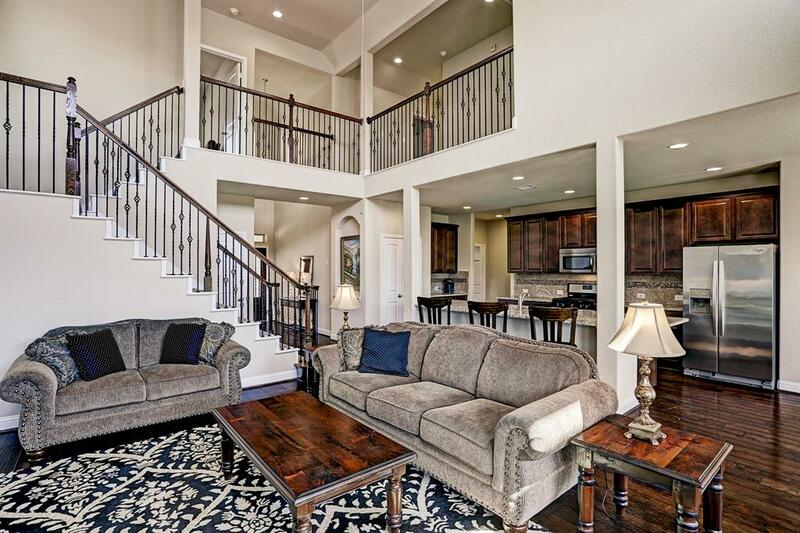 Fall in love with this breathtaking Beazer home - 4 Bedroom, 2.5 Bath, 2 car garage with a 5 ft extension, located in the exceptionally desired Pearland Independent School District. 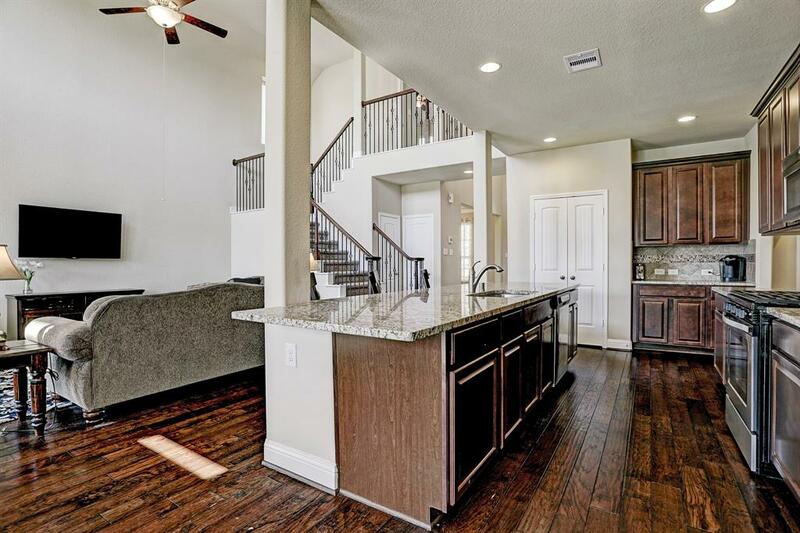 Move in ready with MANY upgrades from the second you pull up - A Ring doorbell on the covered front porch, full yard sprinkler system, upgraded kitchen cabinets, upgraded granite countertops, hardwood flooring, covered back patio with extended brick area, additional outside lighting, tankless hot water heater, pex plumbing & control panel, and a media room pre-wired for surround sound just to name a few! 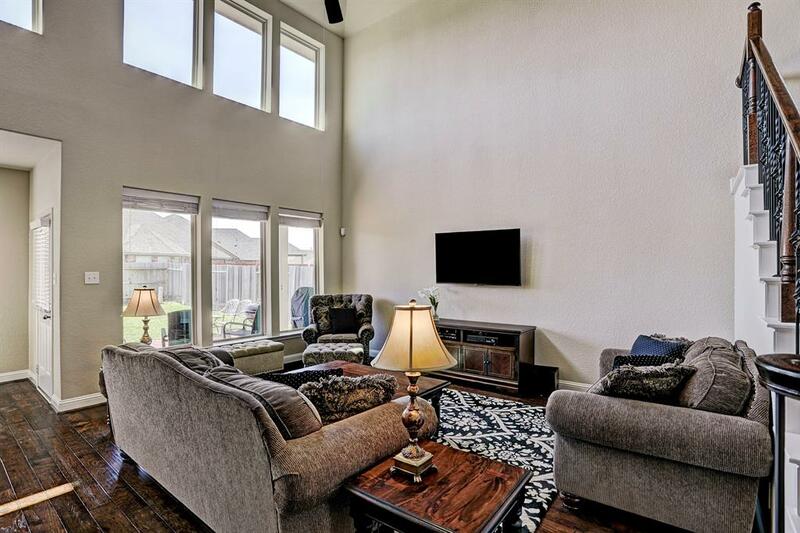 The large Flat Screen TV that is mounted to the wall in the Family Room stays. 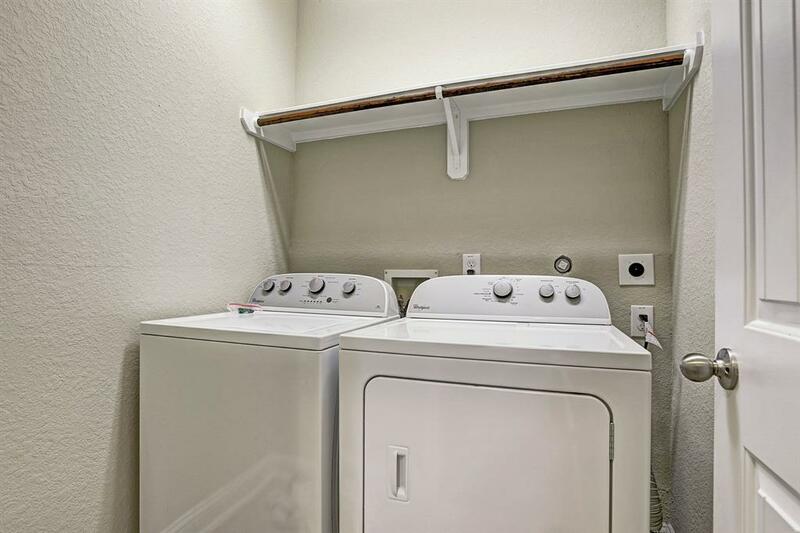 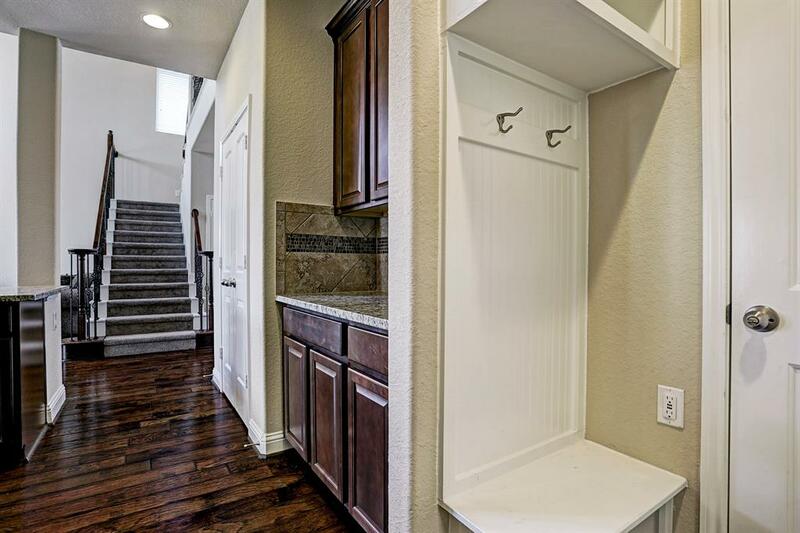 As does the Washer, Dryer and Stainless Steel Refrigerator with ice maker! 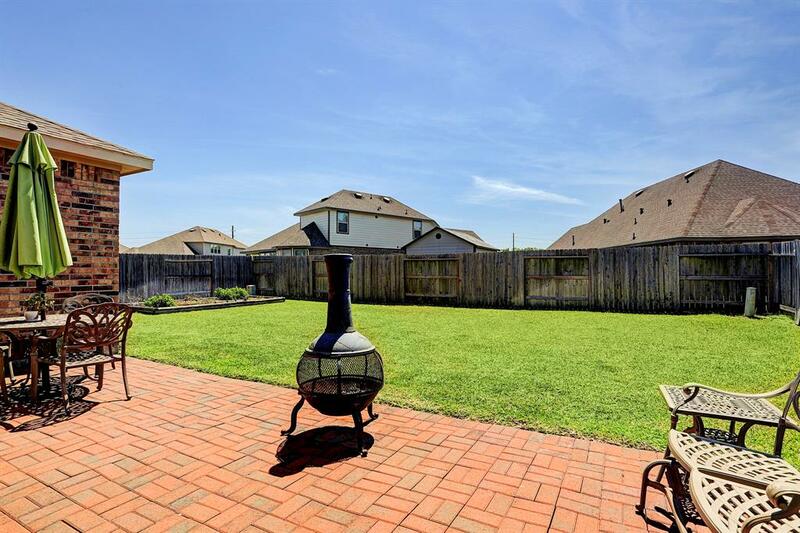 Quick access to everywhere you want to be in Pearland, the newly improved Highway 288, Beltway 8, Downtown, Clear Lake/NASA and the Texas Medical Center.